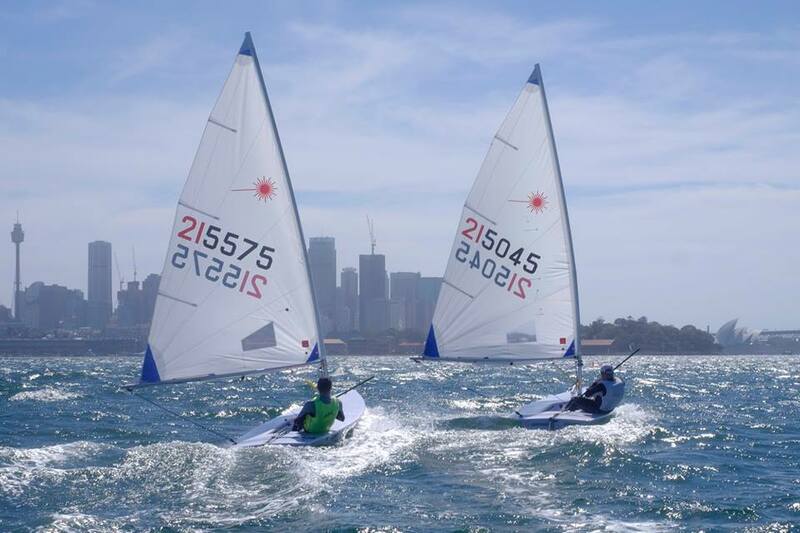 A 25kt NE gradient breeze, together with Sail Sydney, saw a reduced fleet of 28 boats compete in the final heats of the Spring Point Score. The order of the day was to remain upright, and this was achieved by very few! The second order of the day was stencilled in our brains, thanks to last week’s phrase of the day from Brett Beyer, “more Cunningham”. Thanks to Ashley Deacon and Christine Patton for perfect course setting and race management, and to Yves Stening and Chris Stannage on the water, assisted by Justin Davey and Diana Chen who generously offered to assist in the breezy conditions. The competition in the radial / 4.7 fleet was tight heading into the final week of the Spring Point Score. Peter Collie, who was leading, was unable to attend, and ceded the trophy to Pat Levy with 70.0 points (who is on a roll after his winter series win), ahead of Andrew Cox on 73.5 points. In the standards, Ashley Deacon was the clear leader on 44.5 points, well ahead of Hadrien Bourely on 53.0 points. Well done Pat and Ashley.